A blog written for readers and structured with search engine optimization in mind will attract more readers. It will allow more control over the sales funnel, and will give the company more authority. Understanding that one of the biggest traffic driver for many blogs is Google means that optimizing your blog isn’t just an option. It’s important feature to have in any competitive field. Onsite content building is a great way to give information to users. It’s great for giving a complete summary of the skills, knowledge, and products that your site offers. Everything should be focused towards the customer. Yet, by making minor changes, people interested in the niche are more likely to find your company. When you wake up, think the same thing as Leah Busque “How far can I push the company forward in the next 24 hours?” Or share the values of these forward thinker’s 10 inspirational quotes and add labels to your blog. It’s a change you can make today, and when your site is crawled, it will have lasting impacts. A great free tool to see where your labels are at is ScreamingFrog. It’s free, and it will tell you if you have a significant amount of missing or duplicate labels. It’s fairly easy to use, and will give you some of the big, common errors in labeling. For example, is the length right? Are the tags duplicated or missing? These labels are major hints to Google about the information on your website. They could be waving a huge red flag. Thus, a diversified and appropriately labeled blog is a major key to ranking high in the S.E.R.P.s and gaining for traffic. Smart content entices clients to read more, have more interest in the products, and helps the site to rank. A direct post is more powerful than a post that covers a large variety of subject matter. Whereas a blog that covers all facets of the niche is more powerful than one that specializes too much. Super specific posts about specific facets of a niche is a great way to hit long-tail keywords. Potentially it can be an informative source for the snippet box. 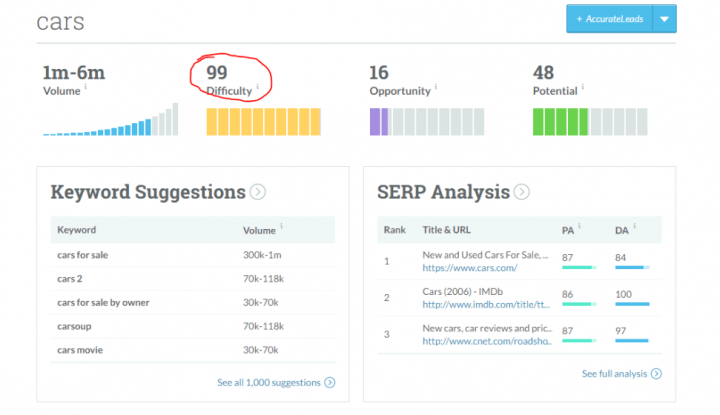 Long-tail keywords are perfect ranking tools to keep in mind while writing content. For example, ranking for ‘cars’ is rather competitive. (Moz has a great keyword explorer tool for that ). However, ranking for ‘cars that are built to last’ is a little easier, and adds power to the ‘cars’ ranking. For many niches there are low-competition keywords with relatively high search volumes that can be explored on in a blog post. These posts will rank higher more rapidly and help with the rankings for the more general term. It provides specialized help to readers that are looking for something super specific. For example, if you are searching for that special pair of red shoes you saw on Instagram, just typing in ‘red shoes’ won’t take you where you need to be. Maybe somewhere on the 50th page you will find your red shoes. But, if you would type in more descriptive terms like ‘red shoes with cherries and a unicorn heel’, it will take you closer to the actual page. How did it do that? Because that page said more of those keywords. While they might rank for red shoes, because that phrase is on the page, they rank even higher for ‘red shoes with cherries and a unicorn heel’. Being more specific in the keywords, makes it more likely for users to find the information and click on it. 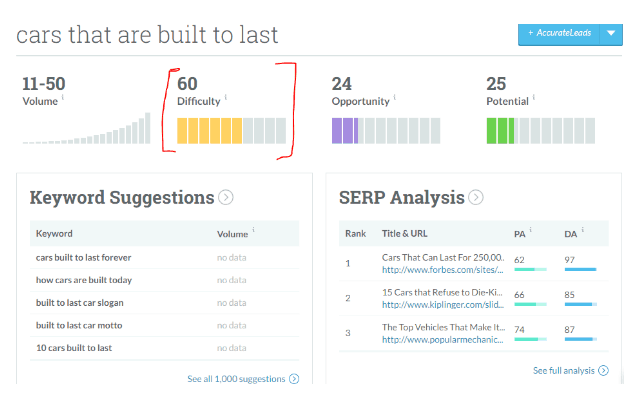 Long tail keywords are very helpful in ultra-competitive niches or for a new business. 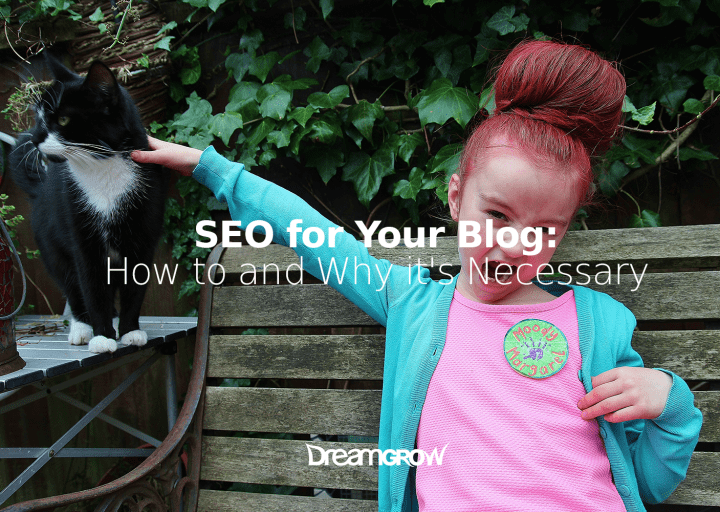 Does your blog link internally and externally? It needs to do both. A majority of the links in your blog should be internally. They should provide readers additional information. Encourage them to read another post, and lead them down the sales funnel that is your beautifully choreographed blog. Plus, if your users are on a mobile device, links are how they navigate. No one wants to type anything while on their phone, everything should go through clicks. External links are necessary. While you don’t want readers to leave your blog, not having external links means a lack of engagement. Lack of engagement reduces the value of your blog. External links are a great way to cite sources, or to expand on a subject that may not fit with the specific theme of the article. The reader may want more information and it’s better, if you provide it. Going offsite is a great way to create more authority, gain traffic, and show off your skills. Whether you want to build links or play with your social media more, going off site are your company’s feelers to the web. In a matter of fact, it is an absolute must for a modern company. There are a few golden rules to follow if you begin building links: quality, context, and will this help a reader? 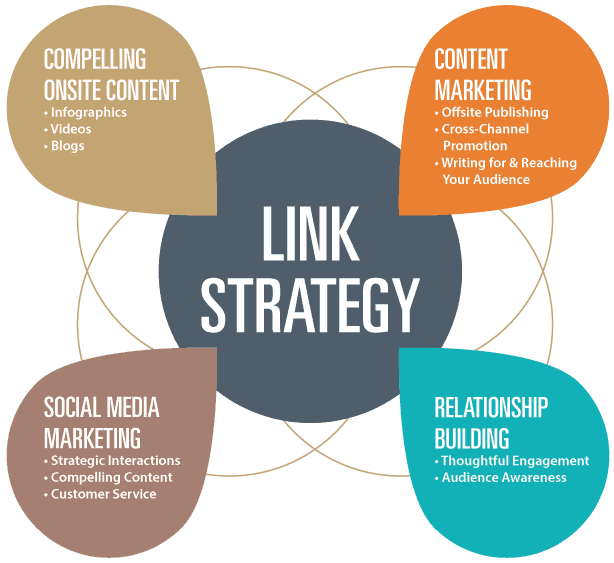 Link building consists of compelling content, content marketing, social media marketing and relationship building. Link building is all about finding sites that are in your niche, but not your direct competitor. A site that has a readership, which would be thankful for the information your site offers. This may include other niche-specific blogs, places where you are mentioned, but not linked to. Or just a frequently trafficked resource page with your competitors listed. While link building can be dangerous, always hold high standard for the site you contribute to and keep in mind your site’s utility to the reader. This will protect you from a majority of problems that might arise. If you are not on social media, then brand-access is lost to a huge part of your audience. Even in fields that don’t make a lot of sales online, or if the audience doesn’t use social media frequently, they still need social media. It means having a place, where your clients can find you, keep an eye on the new updates, and ask questions anonymously. This is vital when connecting with your audience. If you’re not on social media, get on it. The brand loyalty of networks like Instagram and Pinterest are difficult to ignore. And the way consumers interact with companies on twitter means getting a leg up on your competition. Most companies don’t answer questions on twitter, although it is necessary. Answer to all positive and negative comments and posts on all your social media channels. Social media just needs to be spoken with a brand voice that aligns with the rest of your brand strategy. Interact with your audience at least daily and invest to other niche specific brand influencers. Here’s how social media helps your SEO. 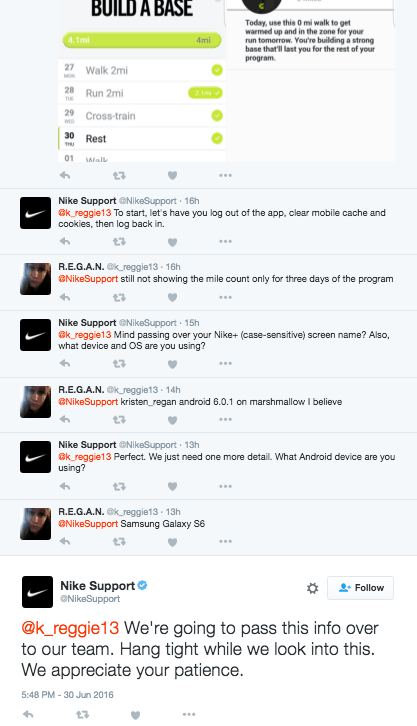 Nike is doing an amazing job in regards to online customer support. They answer every question and help as much as they can. A blog is great and super helpful for clients, who want more information. It increases your blog’s traffic, company’s authority and influence. But unless organized and built out in a way that will help search engines find it, these benefits may not occur. The best part of organizing your blog with search engine optimization in mind is the traffic increase. Not only can more people find your site, but they are the type of people who will stay on the site, who might need, or be interested in your products. It’s gaining access to the audience in your niche, who Googles stuff. 74% of people looking for information online Googles it. There are huge portions of your market that are untapped. By organizing blog content to cater to the monolithic traffic driver that is Google, would help those potential clients find you. Once people find your blog, are they landing appropriately? 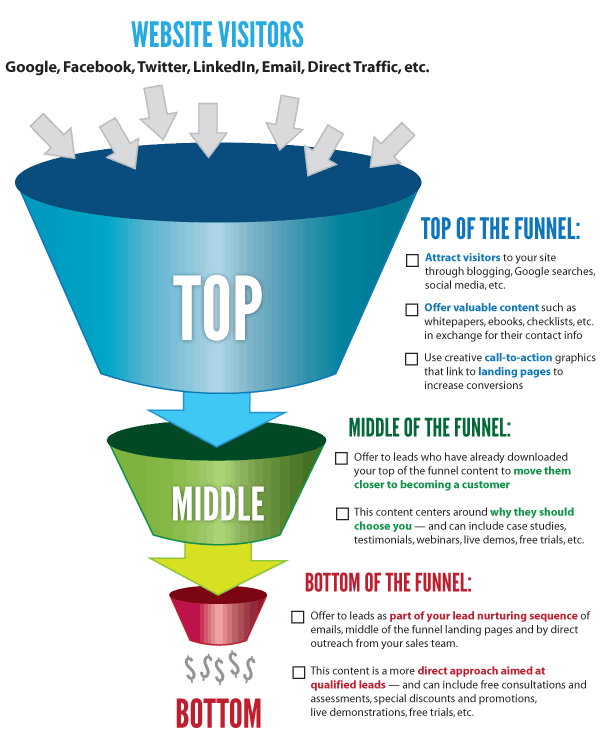 Doing your own SEO, with an intention gives the ultimate control over your sales funnel. It means you can direct the more general traffic towards your informational pages. Informational pages should have some of the highest click-through rates. Next in order should be more specific articles that include product information. And eventually the product pages. That control over your sales funnel means a lower bounce rate, and a higher purchasing rate. Writing a blog will help your users find you, and respect you as a source of information. But, if there are collaborators, who back you up, and it’s written in a clear, easy to find way, then it’s a little easier to gain trust and loyalty. Gaining authority also means gaining ranking in the S.E.R.P.s and that has huge, lasting impacts. When writing a blog, keep it labeled, informational, and helpful to your readers. Link to yourself often, and in useful spots. If you aren’t doing SEO, then you are missing out on the largest traffic driver online. It’s vital. It’s powerful. And it can make a world of difference. Next story How to Create High Quality Content That Brings Traffic?